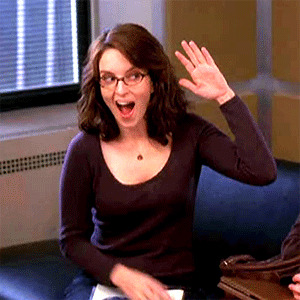 This is an animated gif of Tina Fey throwing herself a high five. This can be used as a reaction whenever somebody acts self-congratulatory. Tina Fey is an American comedian and actress.